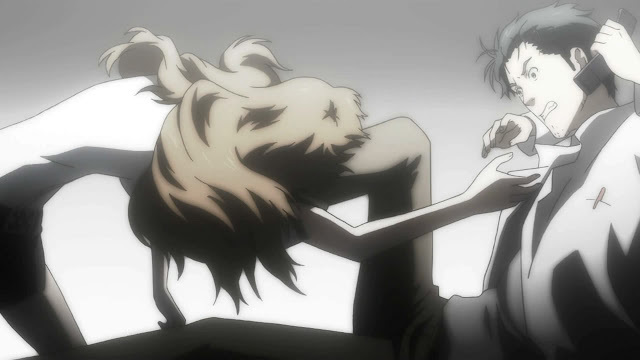 Steins;Gate was really dark this week. Like, literally. Most of the episode pushed the limits of my laptop's crappy LCD panel to reproduce subtle gradients of black. As for whether or not this was a good episode, I can't decide. There were some intense moments where Okabe struggled to get Shining Finger's phone, but the voice work felt a little off to me. We also learn a bit about FB and the IBN5100, which added to the already confusing plot. Bought the Sep 2011 issue (vol. 136) of Megami for the above poster!